Just why do we need to tone our skins? Many people wonder why it’s important to tone the skin. In fact, a majority of people do not really splurge on toners, they don’t fathom why they need them and for that reason, they only cleanse and moisturize the skin, skipping the toning process. Now, toning is really important, especially for people with oily skin and acne prone skin. Technically, the main work of a toner is to balance the skin’s PH. Here’s how that works, a little education folks; a PH scale ranges from 0-14, with 0 being most acidic and 14 being most alkaline. Our skin should normally have a PH of around 5 and this is when our skin is balanced. 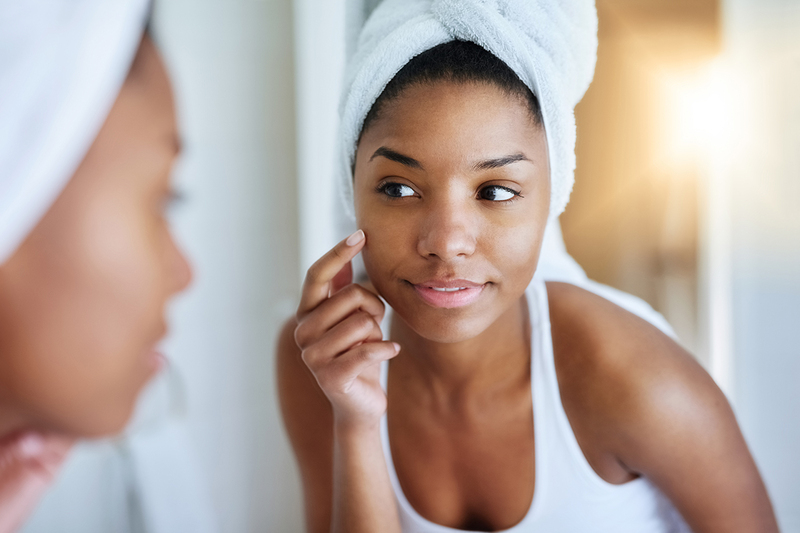 If it’s too alkaline, the skin can be very dry and sensitive and when it’s too acidic it can be very oily and that’s typically when we get most breakouts. Throughout the day, our skin produces oil and that’s why most facial cleansers tend to be alkaline, typically having a PH of around 7 so that way it removes the excess oils and sweat. But, after we cleanse it, the skin is basically stripped and that’s why it can feel tight and dry after washing it and that’s why we need a slightly acidic toner to balance the skin’s PH. A toner helps return the skin’s PH back to normal and toning the skin not only balances the skin’s PH but also helps to remove any leftover makeup or oily residues that the cleansers don’t get rid of. In addition, it also helps close our pores which is important when you’re trying to fight acne. 1. It adds a layer of protection. Since toners help close pores after cleansing, this reduces the penetration of impurities and dirt from the environment into the skin. 2. It refreshes the skin. Basically, using a toner is like washing your face. It will leave your skin refreshed even when you’re on the go and it will remove excess oil, dirt and makeup. 3. It can prevent ingrown hairs. Since toners contain glycolic acids, they can help prevent ingrown hairs, which is always a plus. Now you know why you need a toner!